Grab a Toyota Service coupon below and save on the car repairs and maintenance you need the most. Claim these service specials and parts coupons by booking your next service visit with us right now! If you prefer, call us now at 520-795-5565. We can’t wait to welcome you. 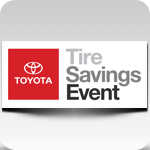 During our Tire Savings Event, buy 3 tires and get the fourth for just one dollar. Choose from some of the best brands including Bridgestone, Continental, Dunlop, Goodyear, Hankook, Kumho, Pirelli, Toyo, and Yokohama. Contact us for details! Exclusions apply. Offer valid on select brands. OEM, OEA, and WIN replacement tires only. Tires must be dealer-installed. Three tires at regular price, fourth tire for one dollar. Fourth tire must be of equal or lesser value. Excludes mounting & balancing, sales tax, shop supplies, tire disposal, and other applicable taxes. Excludes previous purchases. Toyota and Scion vehicles only. Not valid with any other offer. Increase fuel efficiency, safety, and the life of your tires by taking advantage of our competitive alignment pricing! 2-wheel alignments at just $79.95, 4-wheel alignments just $10 more. We welcome all makes and models. Please present coupon at time of arrival. Not valid with any other coupon, offer, or advertised special. Valid only at Precision Toyota. Receive a $25 prepaid card with a TCMC Brake Pad purchase and installation. After purchase, get your prepaid card at toyotabrakerewards.com! Restrictions apply. See dealer for details. Please present coupon when order is written. Not valid with any other coupon, offer, or advertised special. Toyota and Scion vehicles only. Offer valid through 4/30/19. Buying new tires shouldn’t be stressful. Enjoy peace of mind by purchasing your new tires at Precision with our Tire Price Match Guarantee! Guests must present a printed competitor quote for the tire they wish to price match. Guests are responsible for finding eligible competitor quotes. Toyota dealerships cannot assist guests in locating lower prices. Restrictions apply. See your Service Advisor for additional details. Toyota and Scion vehicles only. Available for dealer-installed identical in-stock tires that meet vehicle specifications. Customer must present a printed lower-priced pre-tax price quote dated within 30 days of purchase from a retail location within 25 miles. This Price Match Guarantee may not be combined with any other offer including rebates, clearance, closeout or special prices. Buying new tires shouldn't be stressful. Enjoy peace of mind by purchasing your new tires at Precision with our Tire Price Match Guarantee! Our Parts Center is proud to be an official Yakima dealer. Yakima designs and manufactures top-quality racks and carriers that can transport any lifestyle. 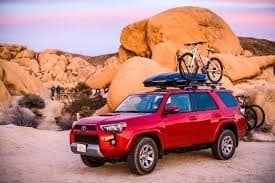 Toyota owners have long relied on Yakima to carry their favorite outdoor gear. Our Precision guests can purchase Yakima’s vehicle racks, bike, ski and boat mounts, cargo boxes, and other cargo management accessories directly from us and have them installed by our factory-trained team. Visit today to see our Yakima displays and order your accessories! Precision Toyota is proud to be a Yeti Authorized Dealer. 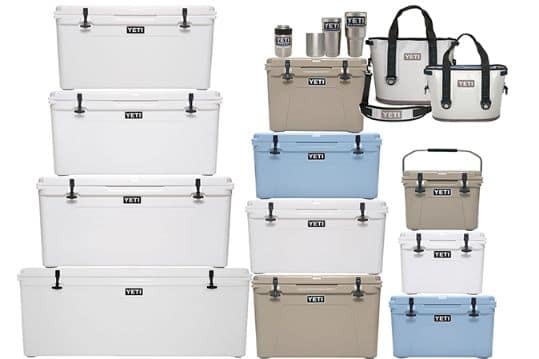 Yeti is the manufacturer of the best premium coolers and accessories, each the ultimate in design, performance, and durability. In other words, they are a perfect fit to sit alongside our Genuine Toyota Parts and Accessories! Come in today to browse our Yeti lineup. Test drives are the best way to see if a vehicle is right for you. Our V.I.P. Test Drives mean that your vehicle of interest will be ready and waiting for you when you arrive. A friendly, no-pressure team member will greet you, answer any questions, then hand you the keys! Schedule your appointment below and we'll get right back to you to confirm. 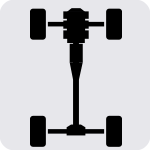 What vehicle(s) would you like to test drive? Didn’t see the special you’re looking for? We update our offers regularly, so bookmark this page and check back often!